The draw to the University of Montana Western is undeniable. Beyond its hometown of Dillon’s cozy western charm, the university is the only one in the nation to offer Experience One, known as the block system, which enables students to take one class at a time. Class sizes are small, which means more one on one instruction, and tuition rates are affordable. 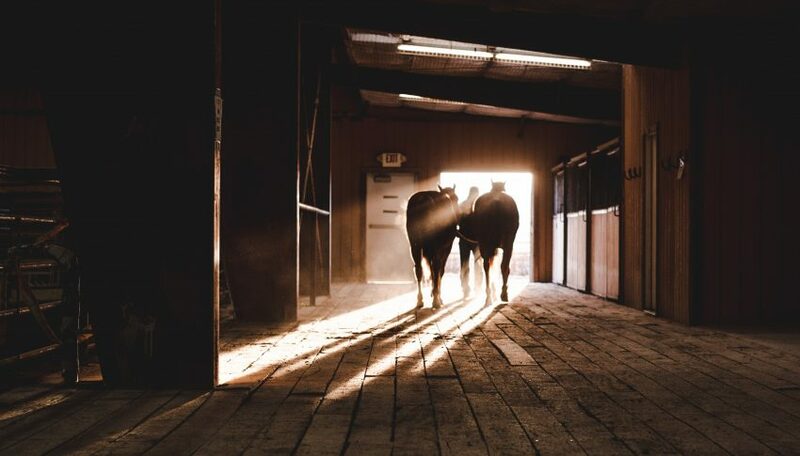 However, there is another lure….Montana Western’s natural horsemanship and equine studies programs, along with the colt prep class, challenge and sale. Students come from all over the United States to take advantage of what is offered. Eric Hoffman, head instructor of the program says, “There is not a typical student. 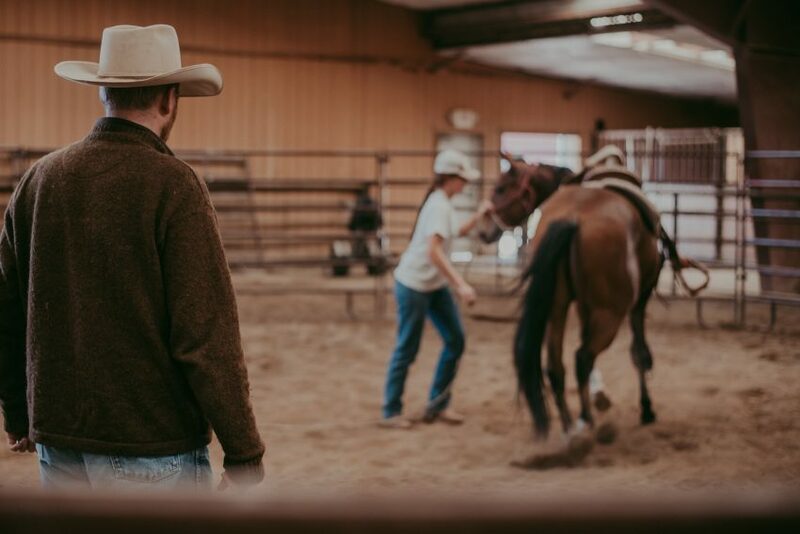 They come from everywhere with a variety of backgrounds.” There are a number of students that are rodeo recruits, some grew up on ranches, and some just enjoy being around horses. No matter what their motivation, they leave with an array of experiences, which most are hopeful to use to find careers. 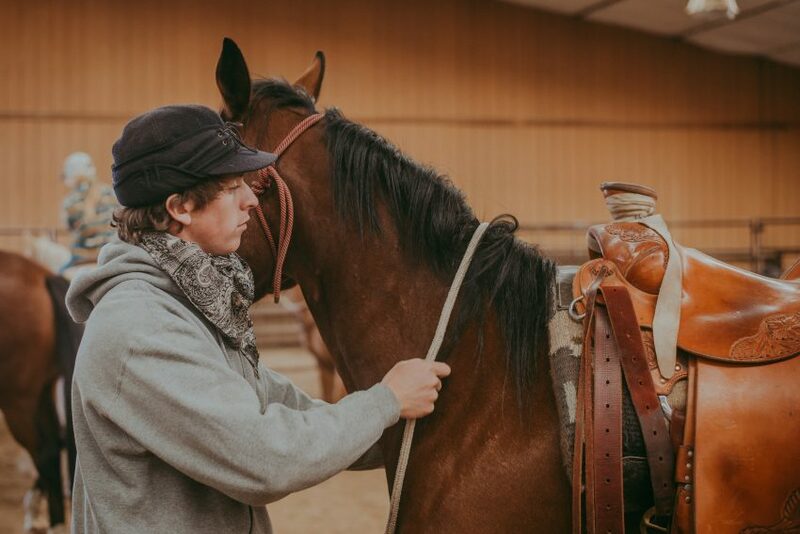 Students have the opportunity to expose themselves to the business end of a horse, minoring in equine events management, or instructional horsemanship. Melanie Elzinga, also a 2nd year colt prep student transferred to University of Montana Western with the desire to go on with the horsemanship program. She grew up on a ranch in Idaho, participating in 4-H and starting colts. 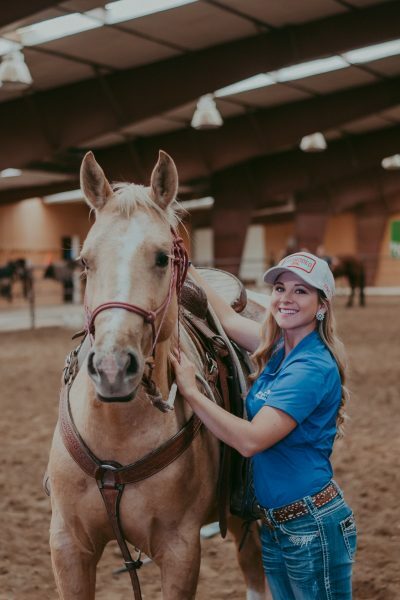 Double majoring in natural horsemanship and business management, Melanie hopes to make lifelong connections in the horse industry. Eastern Colorado native, Maggie Blandford has participated in the colt prep program for two years. “It’s opened my eyes as to how many different aspects of the industry there are.” Maggie is also headed to France for her internship. Junior Lorrie Anne Smith is attending University of Montana Western on a rodeo scholarship. Between the block scheduling and the natural horsemanship program, she didn’t need to apply to any other schools. But being from Hawaii, transporting her horses for college rodeo was not in the cards. She ended up purchasing green horses state-side. Lorrie Ann credits 2 years of the colt prep and horsemanship classes to helping her bring her horses along and qualifying for the CNFR. 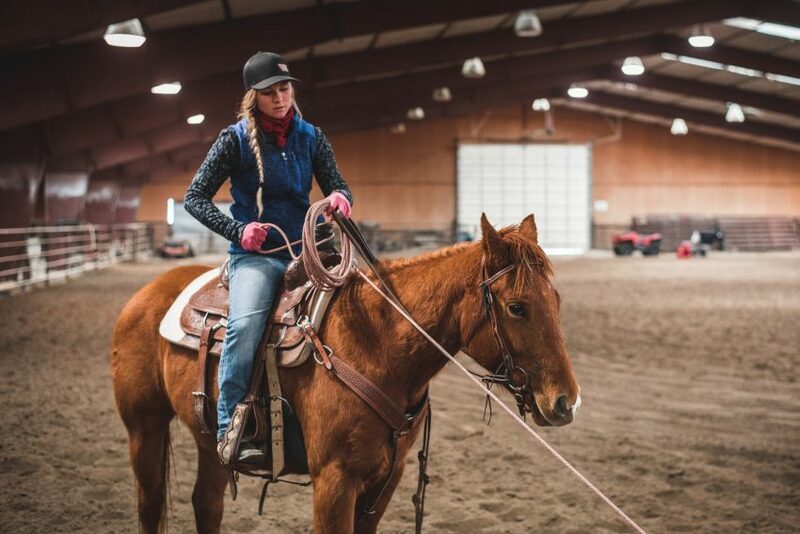 Majoring in natural horsemanship and business with a minor in instructional horsemanship, Lorrie Ann hopes to carry on her grandfather’s legacy by reviving the horsemanship program at the University of Hawaii. Of all the interviews, perhaps my favorite response came from Cassandra Van Atta from Oregon. I asked her if she was “horsey” before her introduction to UM Western’s equine programs. Her response, simply put was, “I thought I was! 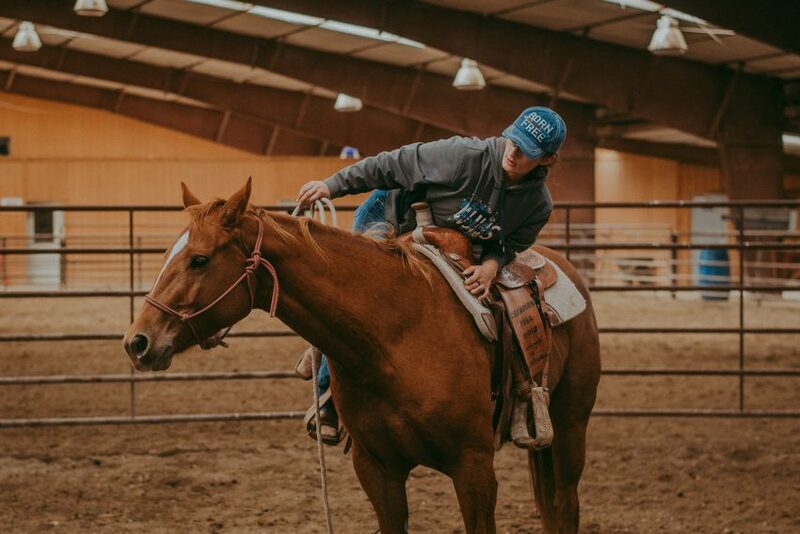 Come to find out, I just stuck to the saddle before I came here!” She will be taking her degrees in natural horsemanship and biology to Pullman University in the fall of 2018, where she was accepted into the veterinary medicine program. As fortunate as the students of UM Western’s equine programs are, I am struck that UM Western is equally fortunate to be represented by this bunch of students serving as ambassadors to the program. Don’t miss the opportunity to watch them compete and show on April 7th and 8th in the colt challenge and sale. You can view the full catalog and watch the sale live at www.facebook.com/coltchallengeandsale, or call Eric at 406-925-1499 for more information. To learn more about UM Western, visit www.umwestern.edu.